If classic and timeless with a feminine twist describes your style, consider this lovely A-line dress. The That's Classic Tie Back Dress is made of a fluid silky fabric and is unlined. It has a rounded neckline with pintuck details, cap sleeves, and an A-line skirt with subtle pleating. The best part of this dress has to be the banded waist that continues around the back and ties into a girly bow. An open back cutout and hidden back zipper complete this lovely look. The That's Classic Tie Back Dress would look nice paired with pumps or wedges and some pretty jewelry. Another option is to wear this dress more casually with flat sandals. This is a cute dress to wear to so many different events. It is perfect for a family gathering or party. Details: Made in USA. Unlined. Hidden back zipper. 96% polyester, 4% spandex. Hand wash cold or dry clean. Small measurements: Length from top of shoulder to hemline: 36". Bust: 32". 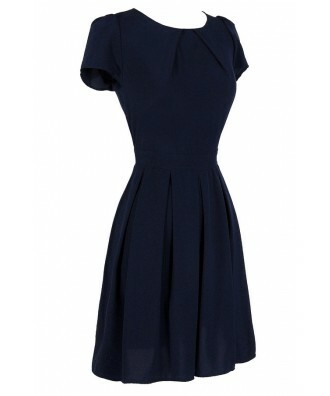 You have added That's Classic Tie Back Dress in Navy into Wishlist. 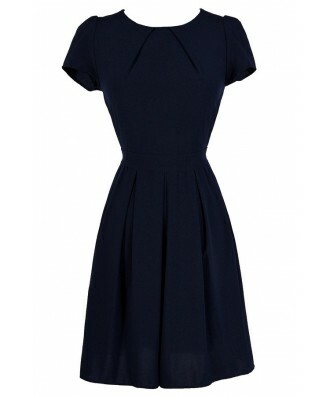 You have added That's Classic Tie Back Dress in Navy for Stock Notification. 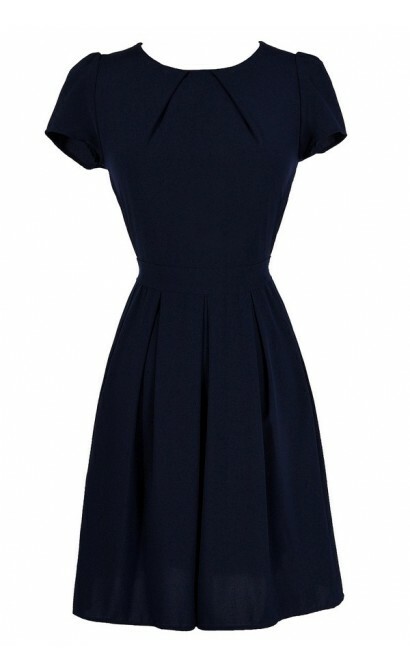 You have set That's Classic Tie Back Dress in Navy as a loved product. 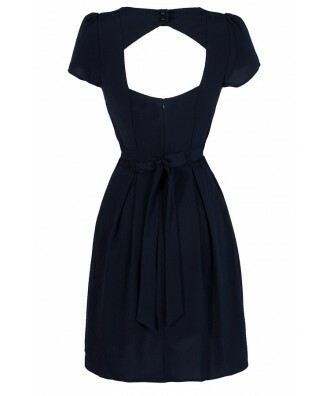 You have removed That's Classic Tie Back Dress in Navy as a loved product.